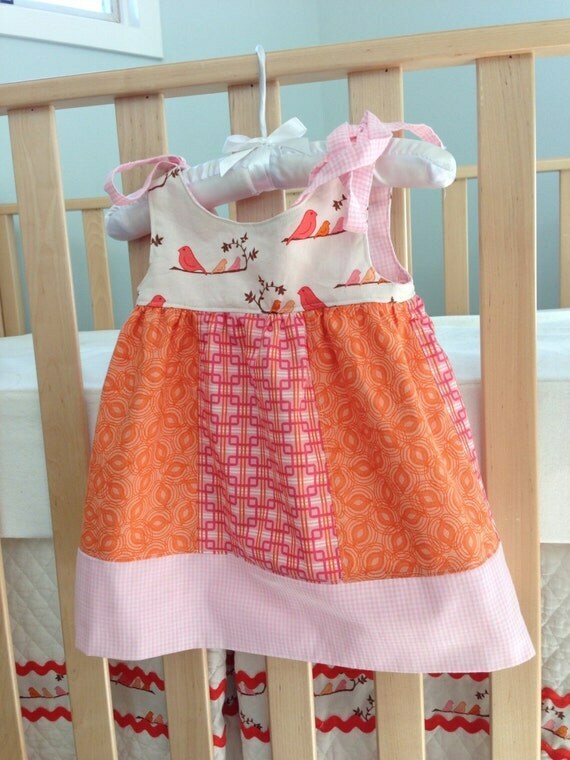 Are you ready to sew up some springtime things? I totally am - time for the snow to get out & sunny day wear to come in. So now's a great time to try some new patterns from Seamingly Smitten. Instant Download PDF format - simply buy, print, cut and start sewing! 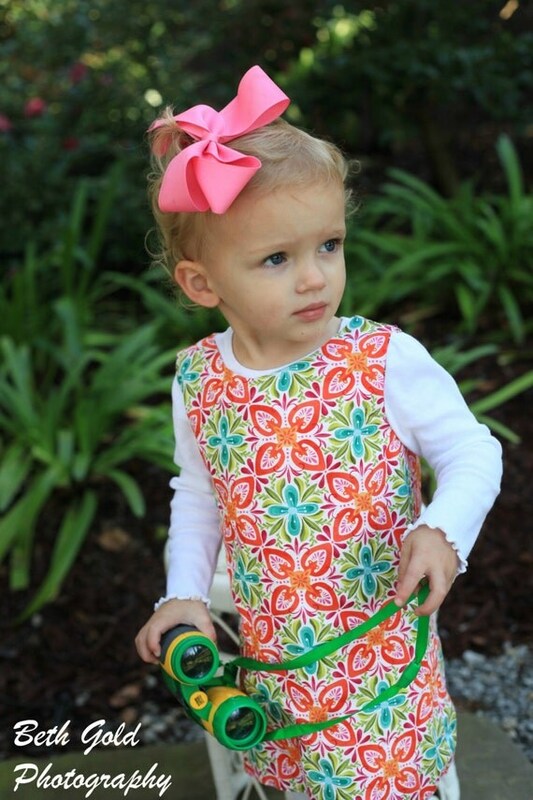 Or try the Classic A Line Dress Pattern for a quick & easy style. Great for layering with the changing weather and as a base for customized appliques, embroidery or monograms. For the boys there's the Classically Cool Cargo Shorts Pattern. 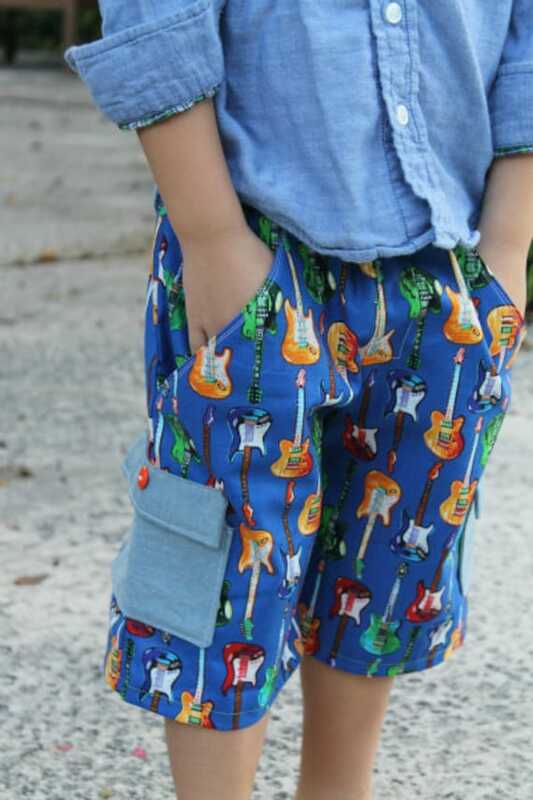 Covering 3 months to 8 years, these shorts offer cargo pockets, faux fly, slanted front pockets, elastic waist and pocket flap button detail. They'll look great in cotton, seersucker, gingham or khaki, so you can go classic or colorful! And don't forget to treat yourself too. The Mimi Maxi Dress Pattern is an ideal choice. It's simple & figure flattering design gives you a sleek silhouette. It also offers lots of options by including sizes 0-18, 3 strap options and a maternity option! 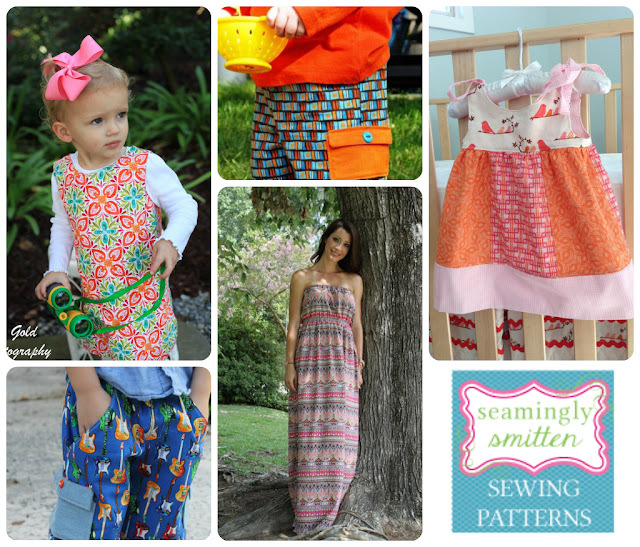 Seamingly Smitten Patterns are quick, easy and look fabulous. Spring clean your stash into some lovely wearables (or use them as an excuse to get that new fabric you've had your eye on). These patterns are versatile, stress-free and, most of all, make sewing FUN! Right now Seamingly Smitten is offering discount bundles, so you can choose your favorite patterns & save some $ on all your choices. Check them out & get yourself sewing! Omg...the Love Me Knots pattern with guinnea pig panel in the middle!! !